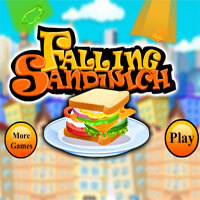 Description Falling Sandwich is a fun game to play! Simplest way to play, you have to catch the items whatever mentioned in the order board. The level will be failed, if you catch the wrong ingredients, only if you catch the correct ingredient, the level will be up. Have an eye on the time and finish all the levels. Experience this fun game.